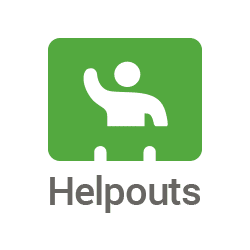 If case you don't remember, Google announced Helpouts back in August. It's a different take on Hangouts where experts can make their assistance available via a video chat session for a fee or free of charge. Google has been laying the groundwork for a public rollout of the service, but no dates have been made official. We've been passed some information by a trusted source that says November 5th is the big day – that's just one week away. The notification was apparently only sent out to some of those who have had their Helpouts approved by Google. The website listings are going live in a private fashion so pre-approved users can get things set up, but the rest of us will have to wait. You can still request access to Helpouts right now, but it might be much easier to get started after the public launch. Stay tuned.